Infinity Electrical & Renewables are REAL and MCS Accredited Solar Panel Installers operating from within Southampton. We cover a radius of 60miles and ensure a completely customer focused service. We explain in simple terms the way in which every individual system work, how the free electricity is generated, where this can be viewed and the financial benefits of the solar PV system. Our work is extremely neat and tidy, we have an ethos that encourages quality workmanship at all times. 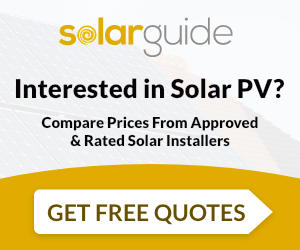 We have a pricing structure that reflects the changes in the Feed-in-Tariff. This ensures that your ROI is acquired within similar time scales as the previous Feed in Tariff rate. With Solar Panel prices falling sharply (39% since the same period last year) we feel that passing this on to our customers ensures they get the right return on their investment. The summer price hikes in Electricity saw the biggest supplier, British Gas, put its electricity prices up by 16% and the DECC indicates that increases like this will continue in the future. So even though the Feed in Tariff has been reduced.... it is still an extremely viable money saving option, which is STILL backed by a 25 Year Generation Tariff!!! Contracted with Infinity based on their presentation of the estimate and checking of their status on Checkatrade. Work carried out promptly. Infinity Electrical & Renewables Ltd are MCS accredited engineers who supply and install Solar PV. For similar installers in this area please visit the Southampton solar page. "Contracted with Infinity based on their presentation of the estimate and checking of their status on Checkatrade. Work carried out promptly."